Teeth whitening can cost you thousands of dollars at the dentist’s office, and over the counter whiteners are very expensive as well. Are you looking for a natural and inexpensive way to whiten your teeth? You may have read that banana peels help, and is this true? High amounts of potassium, which decreases tooth sensitivity. Magnesium, which plays a key role in the strength and formation of teeth. Manganese, which helps form a hard tooth enamel and fights off tooth decay. More importantly, using banana peel is gentler on your teeth because they do not have the harsh abrasives that other whiteners have. Do banana peels whiten teeth? The answer is yes! But how to use banana peels to whiten your teeth? Let's have a look. Choose a banana that is well ripened. Peel a single strip, beginning from the top of the banana so that you maximize the amount of stringy flesh attached to the peel. 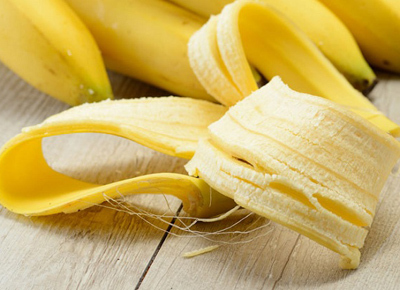 Completely coat your top and bottom teeth with the banana paste by rubbing the peel against your teeth. Once coated, try to keep your mouth open and your lips away for about 8 to 10 minutes. Then use a dry toothbrush to bush the banana paste into your teeth. Use gentle circular motions to brush about 3 minutes until every corner of your teeth has been treated. Once finished, brush your teeth with water or toothpaste to rinse off the banana paste. Do banana peels whiten teeth overnight? No, you’re not likely to see any results after the first application. However, if you continue the procedure on a daily basis for a period of two weeks, you can notice the change. Note: One way to contrast what your teeth looked like before and after treatments is to take a picture of your teeth before using the banana peels, and then take a picture of them two weeks later to compare the level of brightness. Do banana peels whiten teeth? Yes, they do. So what about orange peels? 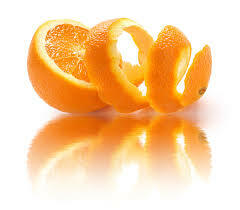 Orange peel contains plenty of vitamin C and calcium. These minerals can help eliminate micro-organisms hiding in the mouth, which will help whiten your teeth. Besides, the citric acid in orange peels can also work efficiently to whiten your teeth, as well as help produce extra saliva to defend against tooth decay. Just rub the orange peel directly on your teeth daily. Orange peel powder can substitute for the fresh orange peel if you prefer. 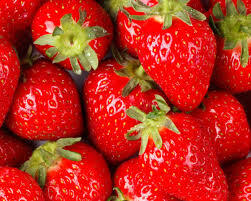 Strawberries are rich in vitamin C and can act as the natural cleanser. They have tiny seeds that act like scrubbers to remove harmful bacteria. Simply crush 2 to 3 strawberries and make a paste. Use the paste by rubbing it directly on your teeth in gentle circular motions, and leave the paste on for about 2 to 3 minutes. You can improve the effect by adding a half teaspoon of baking soda in the strawberry paste. When finished, brush your teeth and rinse your mouth thoroughly. Repeat this process for about 2 weeks for best results. Lemon helps maintain the pH balance and increase saliva flow, and is a natural tooth whitener. 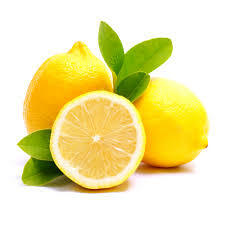 Squeeze the juice from a lemon and add it to some water, then rinse your mouth with the liquid. You can also rub a lemon peel directly to your teeth, or you can add some salt to a few drops of lemon juice and apply the mixture directly to stained teeth. Salt is considered one of the best dental compound for teeth whitening. It helps replenish lost minerals in the teeth and is well known for its whitening abilities. Salt can be used as a tooth powder or used in combination with charcoal to whiten teeth. Another way to use salt is to combine it with baking soda to eliminate yellow stains on your teeth. 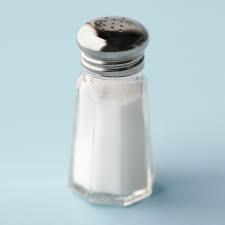 Note: Salt is abrasive and can be harmful to your gums and enamel, so be gentle. Eating apples can help whiten your teeth. The crunchy texture of apples works efficiently in removing food particles and harmful bacteria from your teeth, and it can also wipe away stains on the surface. 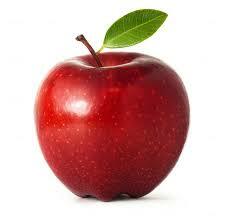 Moreover, apples contain malic acid, which is an active ingredient in many store bought whitening products. You can whiten your teeth by simply chewing one apple a day.